I wasn’t expecting too much when I started The Body in the Woods. Yet, I still found myself wanting to stop reading every here and there. Let me dive into the exact reason why I didn’t necessarily enjoy it too much. I understand that these days all protagonists seem rather monotonous. “They’re all so unoriginal”, people would say. And yes, I do agree that sometimes, changing the name of the protagonist of one book to the name of another girl in a second book would show that their personalities are almost hilariously identical. BUT, I think there’s a fine line to how far authors can change the protagonist’s attitudes to something so original and unique before they become unrelatable/unlikeable. 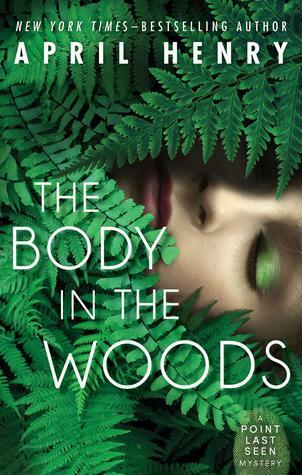 There are 3 protagonists in The Body in the Woods and here is what I thought of them. Nick wants the attention of others. He wants to be a hero, like his deceased war hero father. He seems to be attracted to every single girl at his darn school, and when he gets the slightest inkling that others think Alexis might be into him, he’s suddenly all gung-ho on her possible attraction to him as well (which is just a no, if you ask me). Yeah, I get that he’s not perfect, but it’s just unattractive to want to gain some attention as the “guy who found a dead girl in the woods”, dropping hints to his classmates to talk about his part in the case. Some respect for the poor girl, dude. No need for the attention to be on YOU. And Alexis? She was the most enjoyable character of the 3, in my opinion. She’s terrified of others finding out that her mom has a mental illness. I guess that’s understandable, but that makes her distrust anyone who tries to get too close. 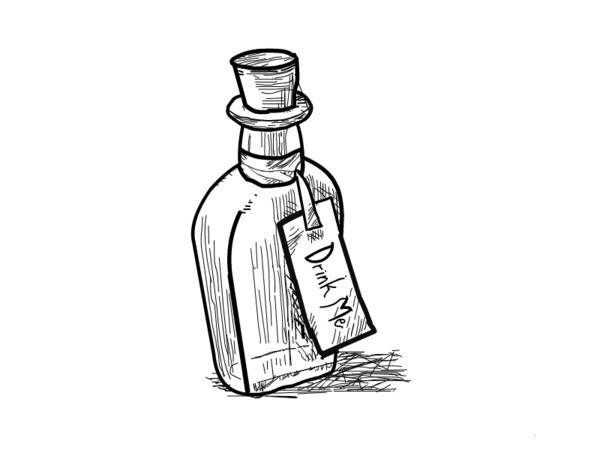 Sometimes I just want to shake her and tell her to LET SOMEONE HELP YOU, or at least trust them with this burden. …And that leaves Ruby. Where do I start with Ruby? She’s…a gem of a character. Found a dead girl in the woods? Pfft, let’s go examine it and recall what every crime show CSIs do when inspecting a crime scene. She also adopts different personas for different occasions to benefit her situation. For example, she feels she needs to “get close” with her fellow SAR friend, Alexis, so she adopts her “Best Friend” role which she gathered information from watching shows or observing other people. If she wants to get out of trouble from her parents, it’s the “Good Daughter” role. It’s a little eerie, to be honest. Sure, she may have Asperger’s syndrome or something like it (which by the way, the author never explicitly mentions) but this is borderline stereotypical “I can’t feel or empathize with a single person or thing in this world”. Saying she’s eccentric is by far an understatement . Her love of random things is kind of quirky, I’ll admit. It’s interesting the way she describes how society builds these “boxes” or “unspoken rules” that supposedly everyone should know and stay within, but she apparently is clueless about them. And there were so many rules…. Don’t assume everyone is interested in the same things you are, even if those things are fascinating. Don’t talk about anything that happens in the bathroom. But the biggest taboo was death. She is arrogant though for assuming that what she knows/has to say/her interests are more important than others. It was terribly annoying hearing her ask the cops so many things and seemingly implying that she knew more of what she was doing than they do. It may not be her fault being as she is, but it doesn’t DO anything to lessen my annoyance. Because the protagonists are how we as the readers view the story, it’s hard to enjoy it when we’re limited to their views and attitudes. The mystery wasn’t all that original either. Come on, a dead girl in the woods. Cool. Now what? Maybe I’m just expecting too much as I absolutely ADORE mysteries. I grew up on them. And now I even watch crime shows to death. So it’s hard to match up to some very well-written mysteries. I will say that I did have to guess for a while for the culprit. I feel that Henry wrote too many scenes from the culprit’s POV (point of view) that really made the identity guessable by the middle of the book. Of course, it was interesting to figure out the WHY so at least something kept me going. I won’t go on much longer. I think I’ve ranted enough. Apparently there will be more in this series, starring all 3 protagonists still. Yay…. (not quite sure if I can stand reading more of their POVs). Who knows? I may give it a try, but if you just want a mundane mystery and don’t mind annoying characters, go for it. The Body in the Woods wasn’t terrible but even with lowered expectations it wasn’t en par. With a cast of protagonists that bugged me endlessly and an unoriginal mystery that didn’t keep me guessing for long, The Body in the Woods could’ve been better in a lot of areas. Personally, I’m an avid mystery reader so I guess lower expectations are still somewhat high. It might just be a “it’s me and not so much the book” kind of thing. Who knows? If the protagonists don’t make you want to hit them over the head at some point within the first 40 pages, then this may be a decent read for you.